The recipient of 2 McKnight Fellowships, Hoehn has used the funds to create a 1 man show, looping Harmonica, Marimba, vocals and some percussion using a boutique looping device. Noah Hoehn has transformed his teenage love of the harmonica into a one man showcase of musical skill. 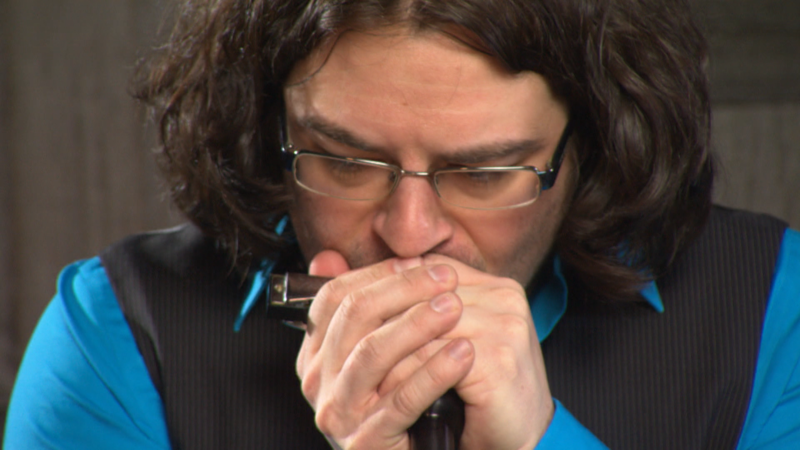 Hoehn records single layers of harmonica, marimba and vocals in his looping system, allowing his audiences to experience live, the construction of a complete song. Zen-like concentration and blues-inspired expression help make Hoehn’s performances original every time he steps on stage. MORE INFO: Artist web site: http://www.noahhoehn.com/ Thanks to Lenny Russo and Heartland Restaurant. 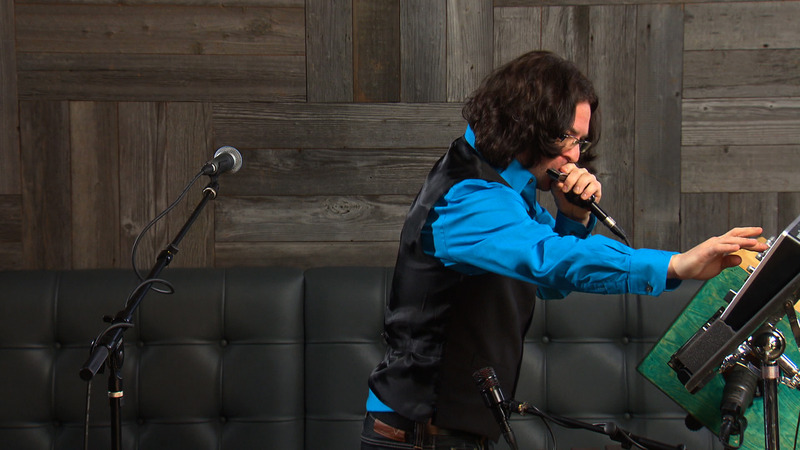 Noah Hoehn loops Harmonica, Marimba, vocals & percussion using a boutique looping device.